2019 is set to be a great one for rugby with Six Nations kicking off this weekend and the Rugby World Cup taking place in September. New research finds the tournament’s main sponsors, Guinness, lagging behind RBS in audience association with the championship. The study by GlobalWebIndex, conducted amongst 1,885 UK consumers aged 18-64 ahead of the Six Nations tournament in February, reveals burgeoning popularity for the sport in the UK with two in five respondents now identifying as fans of the tournament. With the Rugby World Cup taking place in September, 2019 promises to be a year of heightened interest in rugby. Testament to this, nearly half (46%) of the 651 Six Nations fans identified by the study stated they are more interested in rugby now than in previous years. Looking at interest by demographics, women comprise almost a third (32%) of this year’s Six Nations fan base. Over a third (37%) of fans state they will tune into every game in the championship, and 30% for just the games where their team are playing. Fans will be eagerly watching and being critical of nations’ performance during the Six Nations, particularly with 62% of them believing the winners of the championship will make it to the final of the World Cup and fight to bring the Webb Ellis Cup home. 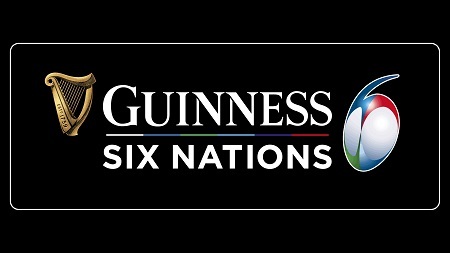 Since the signing of a new six-year deal in early December, only 19% of the UK Six Nations fans know Guinness is the new title sponsor of the games. A third of Six Nations fans still believe the former sponsors RBS are the tournament’s main backers, while 13% believe it is Heineken, who are yet to even take the reins. While RBS also claims number one position as the most associated brand for the tournament by 47% of fans, there’s hope on the horizon for Guinness as the brewer takes second position with 43%. Surprisingly, despite being the only broadcaster of the tournament, the BBC lags behind Heineken in regards to association to the games even though it has no official ties to the Six Nations – 31% and 37% respectively. Interestingly, 35% of Six Nations fans admit to increased alcohol consumption during the championship with 29% braving the cold snap and venturing out to pubs. Here lies an opportunity for both pubs and alcohol retailers to capitalise and ride yet another peak in sales, following the football World Cup in 2018 and the end of year festive season. The betting industry can also expect to prosper in the coming weeks, with over half of Six Nations fans (56%) claiming that they will place bets on the championship. Fans will be placing bets on particular games (16%), the outcome of the tournament (12%), both outcome and games (10%) and 18% are yet to decide what precisely they will commit to. When asked why they would place bets, 33% claimed it adds to the experience of watching the Six Nations, to enjoy teams besides their supporting nations (20%), interestingly also because ‘tradition’ and because friends’ family will be doing so – 16% and 13% respectively.